The Sir Robert Watson-Watt was born in Brechin, Angus, Scotland on the 13th April 1892 and was educated at Damacre School in Brechin and Brechin High School. He graduated with a BSc (engineering) in 1912 from University College, Dundee which was then part of the University of St Andrews. Following graduation he was offered an assistantship by Professor William Peddie who excited his interest in radio waves.In 1915 Watson-Watt started as a meteorologist at the Royal Aircraft Factory at Farnborough with the aim of applying his knowledge of radio to locate thunderstorms so as to provide warnings to airmen. During this period Watson-Watt recognised the need for a rapid method of recording and display of radio signals and in 1916 he proposed the use of cathode ray oscilloscopes for this purpose, however these did not become available until 1923.In 1924 Watson-Watts work moved to Slough where the Radio Research Station had been formed and in 1927, following an amalgamation with the National Physics Laboratory (NPL), he became Superintendent of an outstation of the NPL at Slough. After a further re-organisation in 1933 Watson-Watt became Superintendent of a new radio department at the NPL in Teddington. 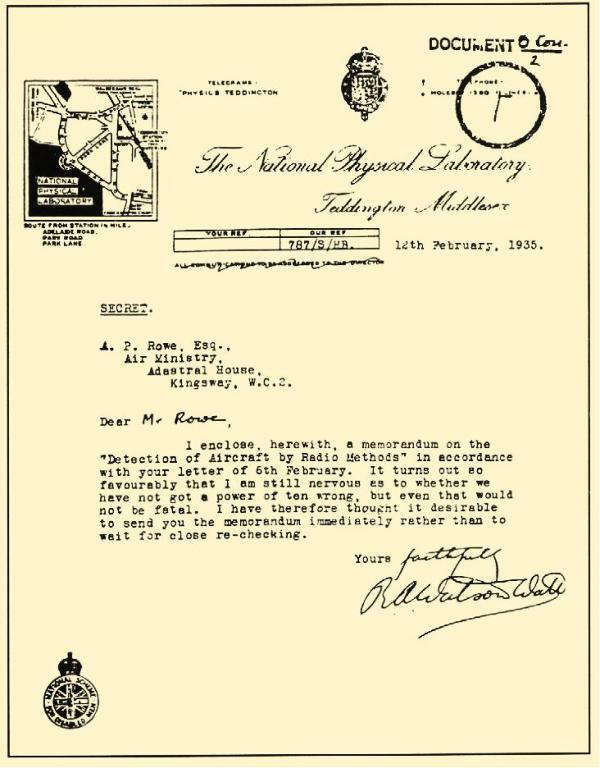 The Birth Certificate of RadarWatson- Watt’s ‘numerical considerations on the method of detection by reflected radio waves’ were sent to Tizard’s committee and a first draft memorandum entitled ‘Detection of aircraft by radio methods’ was forwarded on the 12th February 1935. It was followed by a final draft entitled ‘Detection and location of aircraft by radio methods’.In this memorandum – “the Birth Certificate of Radar” – Watson-Watt put forward his proposals in impressive detail. 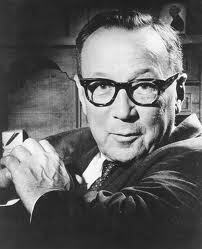 He estimated the strength of the radio signal reflected from an aircraft and discussed the optimum wavelength. He outlined how the range of the target could be measured by the use of short pulses and the plan position by the use of three range measurements; furthermore he suggested that a cathode-ray direction-finder might be developed to measure the bearing and elevation. I was fortunately able to take some photos of today’s official unveiling which you might like to use. Having watched the BBC drama with great interest I was saddened to see the affect on his home life. Was this accurate and did it cost him his marriage as appeared?? He seemed to have been treated shabbily.